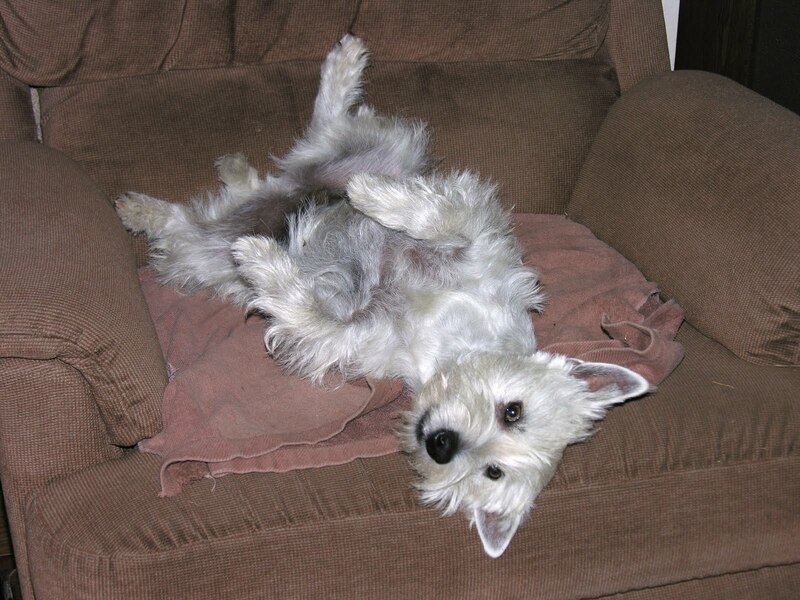 As I sit at my computer editing picture files I notice my little Westie, Max, snoozing across the living room in one of our chairs. He's a very relaxed little dog! I just had to get a picture of him as he snoozed - except he woke up as I turned on the camera - surprise!